"Anne writes the essential blog for today's writers." Mystery author Carmen Amato. 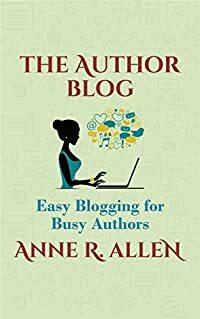 "I love following the blog of Anne R. Allen…for up-to-date tips and helpful articles for writers on what’s current in the publishing world." Author D. G. Kaye. "BRILLIANT! One of the Top 10 Resources for Self-Publishing Authors." author Mark Tilbury.